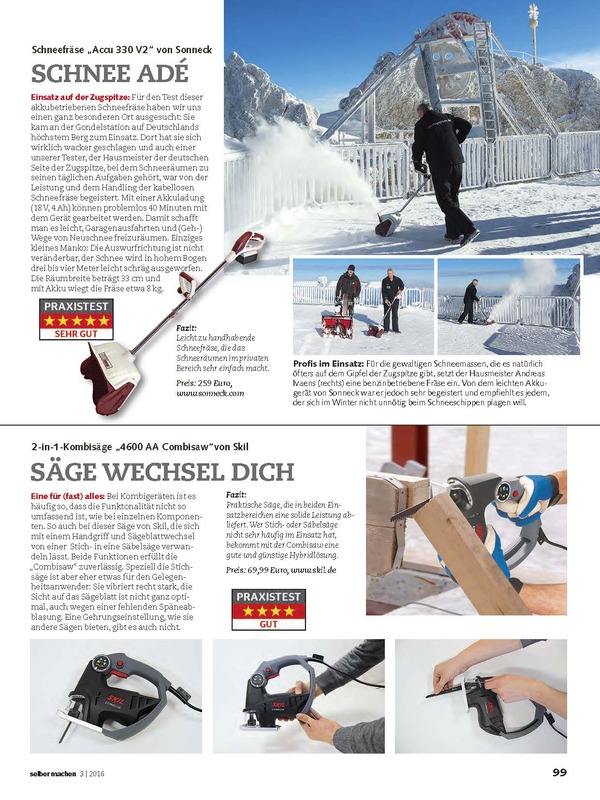 The German magazine “selber machen” for do-it-yourselfers got our snow thrower 330 V2 and tested it on the mountain Zugspitze. At first glance our „little one“ is often undervalued. Therefore we are happy that the great performance of this handy power pack was confirmed once again. Sonneck as inventor and market leader of accu snow throwers may be proud about this honor.